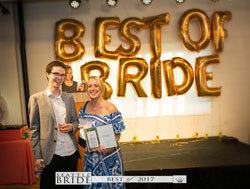 We’re so excited to announce that for the third year in a row Pixel Dust Weddings has been named Seattle’s Best Wedding Videographer By Seattle Bride Magazine! Thank you to all our clients and colleagues for their trust in us to film their most important day. 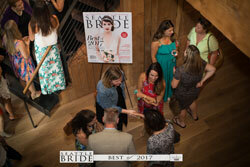 Also thank you Seattle Bride Magazine for the award and for hosting an incredible event last night! 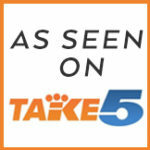 To see all of this year’s winners go HERE . . .
Each venue has its own history, its own tale to tell, just as each couple does. 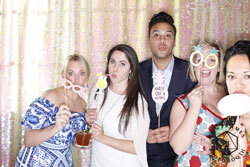 The planners have assembled their team of premier wedding professionals, including our team at Pixel Dust Weddings. 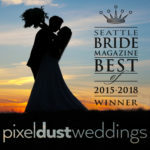 Pixel Dust Weddings Named BEST WEDDING VIDEOGRAPHER by Seattle Bride Magazine! We’re overwhelmed with excitement to receive this incredible award! Each year two rounds of voting are held. First a public vote to narrow down the nominees. 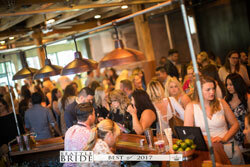 Then a private vote among Wedding Industry Professionals to decide the winner. Honestly just to be nominated was incredible but to win is outstanding!! Thank you to all who voted! It means the world to us to know that our work has touched so many local couples and their families. 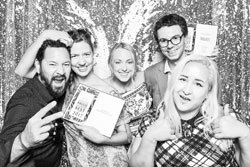 WeddingWire, the leading global online wedding marketplace, named Pixel Dust Weddings as a winner of the prestigious WeddingWire Couples’ Choice Awards® 2016 for Wedding Videography in Seattle! The WeddingWire Couples’ Choice Awards® 2016 recognizes the top five percent of wedding professionals in the WeddingWire Network who demonstrate excellence in quality, service, responsiveness and professionalism. The esteemed awards are given to the top local wedding vendors in more than 20 service categories, from venues to florists, based on their professional achievements from the previous year.